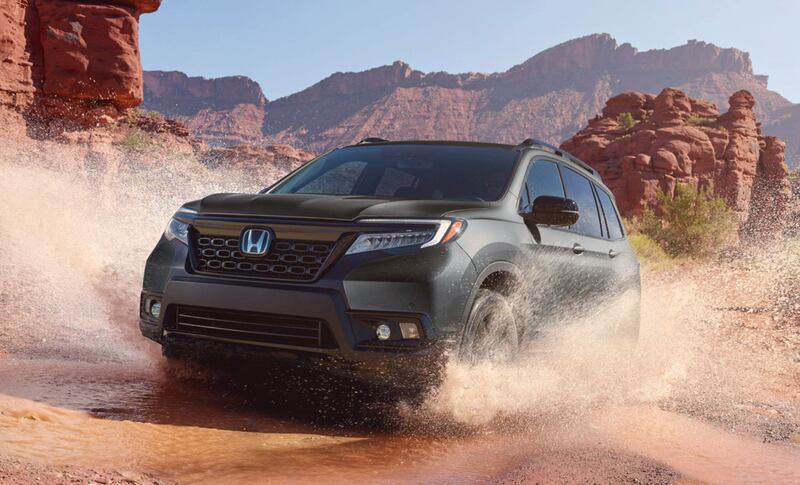 The all-new 2019 Honda Passport takes to the pavement and pounds the off-road trails in equally dramatic fashion, offering customers an outdoor experience like no other. 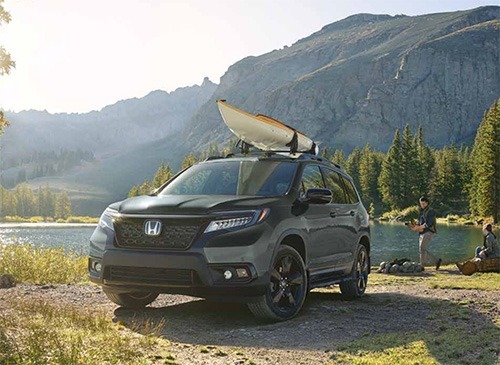 Under the hood and inside the cabin, it packs unequalled opportunity for adventure, with versatile storage space, dynamic handling, and abundant in-vehicle tech that combine to turn roads, paved and unpaved, into your personal playground. The imagination fires with Passport’s athletic exterior, inspiring the confidence needed to get the most out of a trek into nature. But more than just looking the part, every trim features 20-inch aluminum-alloy wheels, providing Passport with impressive ground clearance that helps it travel with “cross-country” versatility. But how does the all-new Passport stand up next to some of its in-class competitors? Case in point, we will offer some comparisons with the 2019 Nissan Murano Platinum. Boasting an expressive, rugged design, Passport’s exterior makes a bold first impression that speaks to its superior functionality and off-road capability. Further highlighting Passport’s off-road-ready looks are a bumper skid garnish and black wheel arches. In contrast, Murano’s sleek styling is much better suited to the highways and byways than the trails. Passport is simply more powerful than its Nissan counterpart, offering 280 hp and 262 lb.-ft. of torque compared to Murano’s 260 hp and 240 lb.-ft. While Murano’s V6 lays claim to a slight fuel-efficiency edge, Passport’s V6 engine is based on a much newer architecture, so it benefits from advancements that Murano lacks, including cylinder deactivating, two-stage Variable Cylinder Management® (VCM®). Passport’s Agile Handling Assist maximizes enjoyment at every turn by increasing turning control and helping amp up the driving fun. The system also applies more braking force to the inside wheels to generate greater turning force while reducing understeer and providing better initial turn-in response. 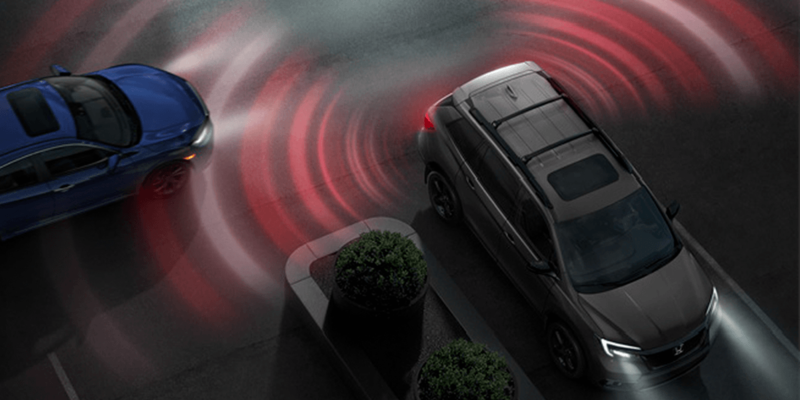 As Murano has no equivalent feature, drivers will miss out on this exciting level of control. Passport’s occupants are well-protected with a wide array of active safety features, including Adaptive Cruise Control (ACC), Forward Collision Warning (FCW), Collision Mitigation Braking System™ (CMBS®), Lane Keeping Assist System (LKAS), Lane Departure Warning (LDW), and Road Departure Mitigation (RDM) system. Most of Murano’s Safety Shield 360 features are limited to the Platinum trim, and the vehicle notably lacks anything comparable to RDM. It’s no contest: Passport is simply in another league with its cargo volume, giving customers more space for all their favourite adventure gear. 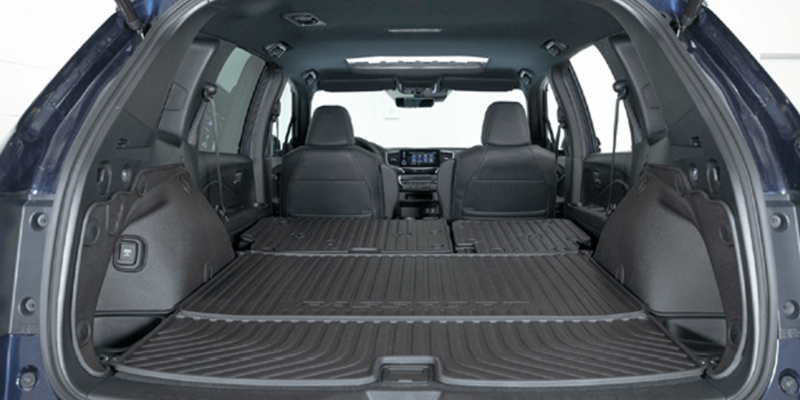 Behind their first rows, Passport dwarfs Murano, with a volume of 2,854 L vs. 1,840 L. Behind the second row, the contrast is just as stark, with Passport providing 1,430 L to Murano’s 880 L. The clincher: Passport’s flat load floor makes for easy loading and unloading. Although Murano offers a smooth ride and its fair share of comforts, it’s not enough to distinguish the Nissan from the more versatile, off-road ready Passport, which treats customers to superior performance and a well-appointed interior of its own. Setting aside Murano’s limitations in the off-road capability department, the Nissan falls short when it comes to meeting everyday needs. Perhaps the most unfortunate drawback for Murano is its confined passenger and cargo spaces, as well as its limited storage areas. All together, these severely curtail its utility for suburban families — the finest materials and most thoughtful comforts mean little if the vehicle can’t accommodate grocery or furniture store purchases. Whether looking for adventure or just trying to finish every errand in one trip, Murano doesn’t offer enough substance to stand out in a crowded 5-seat, midsize-SUV segment. 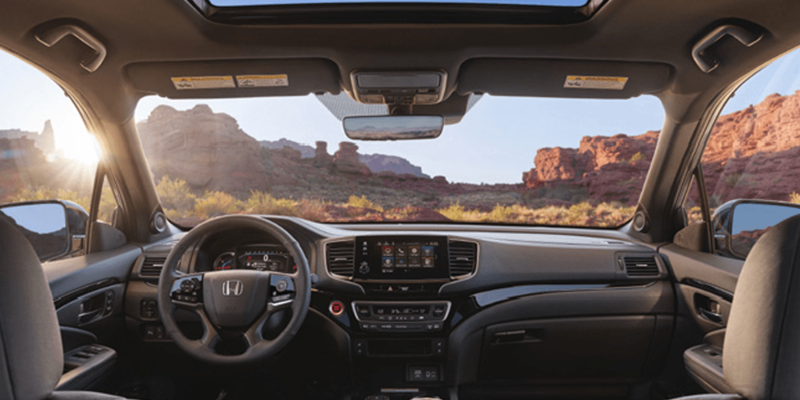 The 2019 Honda Passport has already been ranked with 4.5/5 stars by Car & Driver, now it’s your turn to discover the breadth of capabilities this new star of the Honda lineup can deliver for your family!